So much media, so little time! The King of Sting: The King of Sting: The Amazing True Story of a Modern American Outlaw by Craig Glazer. Order your copy today by clicking on the book cover above! Craig Glazer, the author of a new book called The King of Sting: The King of Sting: The Amazing True Story of a Modern American Outlaw, might remind you of another good guy/bad guy: Frank Abagnale Jr., the author of Catch Me If You Can. The difference, I think, if that Abagnale was a scam artist; Glazer was a sting artist. 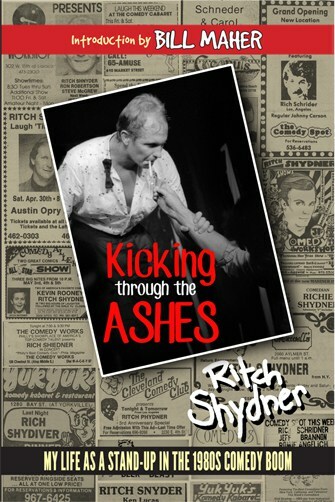 Kicking Through the Ashes: My Life As A Stand-up in the 1980s Comedy Boom by Ritch Shydner. Order your copy today by clicking on the book cover above! The Party Authority in New Jersey, Pennsylvania, Delaware and Maryland! Listen to Mr. Media® Interviews on Apple Podcasts for free and please rate the show and write a review! Thank you! Subscribe to the Mr. Media® Interviews RSS feed! it's free! 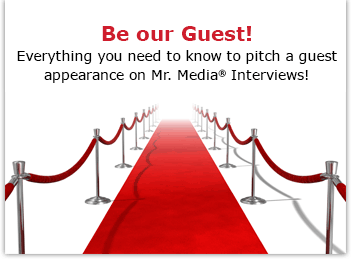 What is Mr. Media® Interviews? The curiosity of Terry Gross, the skepticism of John Oliver, the unpredictability of Howard Stern, and, on occasion, the zen of Jon Stewart! Since February 2007, more than 1,300 exclusive Hollywood, celebrity, pop culture video and audio podcast and print interviews by Mr. Media®, a.k.a., Bob Andelman, with newsmakers in TV, radio, movies, music, magazines, newspapers, books, websites, social media, politics, sports, graphic novels, and comics! Mr. Media Recommends You Check Out These Great Podcasts, Too! * Seriously, possibly, maybe, perhaps this is true. We have no reputable data. But it’s the Internet, a place full of unverified claims. Until otherwise notified, consider this one of them. And thanks for watching and listening! Mr. Media interviews Rock Royalty!